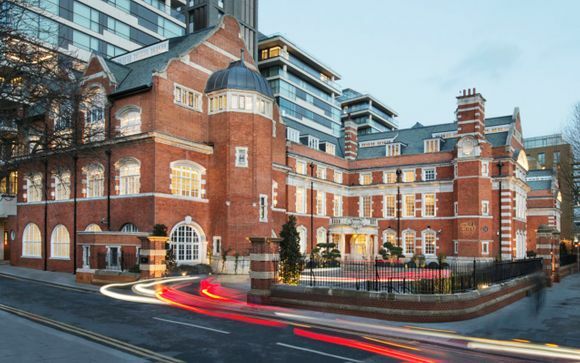 This Tudor-inspired former school is dotted with original characteristics, opulent trimmings and delicate nods to Indian style... All this with fabulous views of some of London's most iconic sights! This part of London is home to some of London's best loved sights including the Shard, the post-child for innovative design with unrivalled views of the city. Our members can choose from a Junior or Superior Classroom, and will be treated to a 15% discount at the restaurant! 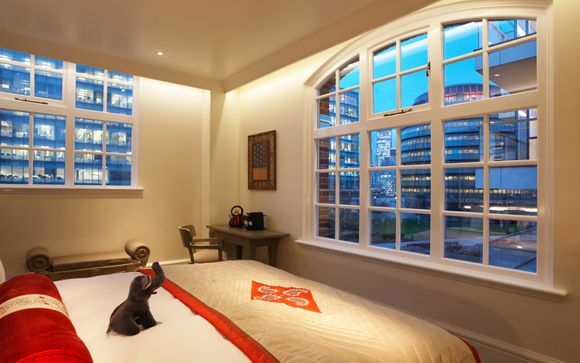 The LaLit London is situated on Tooley Street, south of Tower Bridge, in a 180 year old Grade II-listed building that once was a school for boys. For quite some time, locals and visitors alike have loved browsing the boutiques of Bermondsey High Street, flitting through the bountiful stalls at centuries old foodie haven Borough Market, and strolling down the banks of the Thames on their way to some of Britain's biggest attractions such as Tate Modern and Shakespeare's Globe. Despite Southwark's many popular draws, instant peace can be easily found by turning down almost any side street. 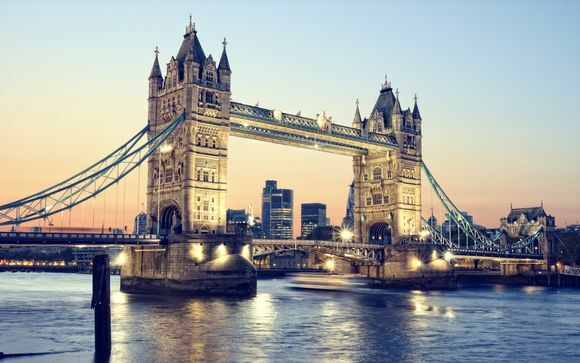 Take a quick stroll across the nearby famed bridges like the Millennium Bridge or the ever-photogenic Tower Bridge and enter the very core of Central London. 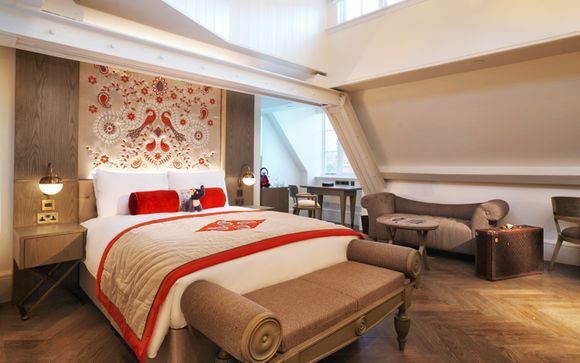 The 180-year-old neoclassical baroque edifice, which once housed the erstwhile St. Olave’s Grammar School, has now been unveiled as The LaLiT London, a luxurious hotel down the road from the iconic turrets of Tower Bridge. The exterior may be that of an imposing school but inside the whole hotel glitters like an Indian palace: walking through this hotel will take you past intricately designed tapestries that adorn regal wood-panelled walls and under elaborate mother of pearl ceilings. Blytonesque British boys’ school meets Bombay palace bedecked in brilliant blue. The old classrooms of this erstwhile Victorian grammar school now have beds swaddled in Indian fabrics and boastful views of the Shard. These stylish rooms combine Indian design with modern furnishings and extensive amenities to create a relaxing oasis. Located on the upper floors of the hotel, these high-ceiliinged rooms are bathed in light from large sash windows and complimented by modern amenities. Experience fine dining in the building's former assembly underneath Hyderabad-style chandeliers whose sapphire-tinted glass sparkle in the light that pours in from high-up mullion windows. All this is a backdrop for a vibrant menu that takes inspiration from the major food regions of India to carefully craft an elegant cuisine, which is made from the finest organic ingredients. 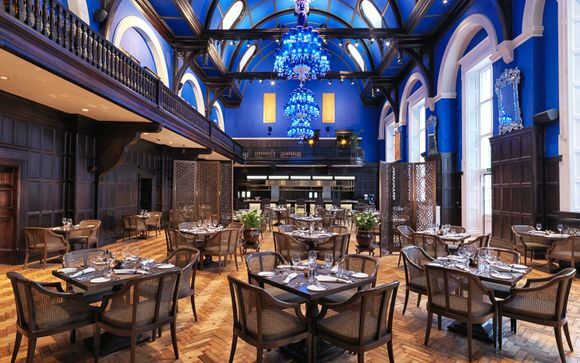 This part of the vaulted eating area specialises in pairing wines from around the world with outlandishly flavoured naans...each bite will take you on a culinary journey! This peaceful balcony overlooks the hotel's expertly styled restaurant, it is a place where you can retreat to and enjoy a traditional afternoon tea or the hotel's innovative Indian take on this immutable classic. Try the Naanery. Yes, an eatery dedicated entirely to naan, celebrating contemporary twists on the traditional bread recipes of India. 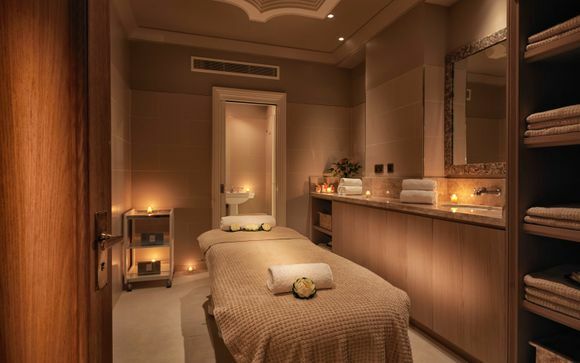 Rejuve is the hotel's signature spa, its a softly illuminated space that expertly combines the expertise from East & West to bring you an indulgent experience....let the hotel's specialists pamper you. The Ayurvedic techniques take the mind, body and spirit on a journey of pure relaxation, as they incorporate an oasis of wellness.